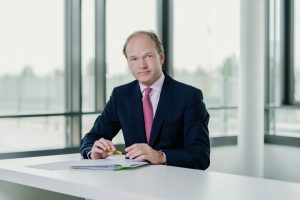 Andreas Bene, member of the board of Raiffeisen Factor Bank AG, talks about factoring, customer benefits, trends in factoring and his recommendations for exporters. What exactly is export factoring and what are the differences to conventional factoring? Export factoring is the purchase and therefore the financing of export receivables by a factor bank. Especially when a company is entering into a new market or a foreign customer has been newly acquired and only become recently known, a sale of receivables may protect from possible defaults. In addition to protection, maintaining the liquidity for export business also plays a major role. Foreign customers are used to long payment terms. With factoring the exporter gets his money immediately. In a nutshell: receivables with long payment terms convert into liquidity in just a few hours. In contrast to conventional factoring, export factoring focuses on debtors located abroad. What are the advantages of factoring for export companies? The principle of factoring is simple and offers noticeable advantages: A company sells its receivables and can thus finance its growth, balance out seasonal fluctuations and improve its credit rating by reducing its balance sheet total. In addition, factoring offers sales-conform liquidity, which is in line with the current sales development. 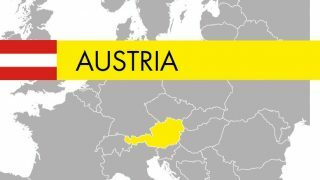 Austria is thus following the international trend. Successful companies do not only sell their products and services but also their receivables. In a nutshell the advantages of factoring are rapid liquidity, an improved balance sheet structure and competitive advantages for example by granting longer payment terms. What are the trends in export factoring? 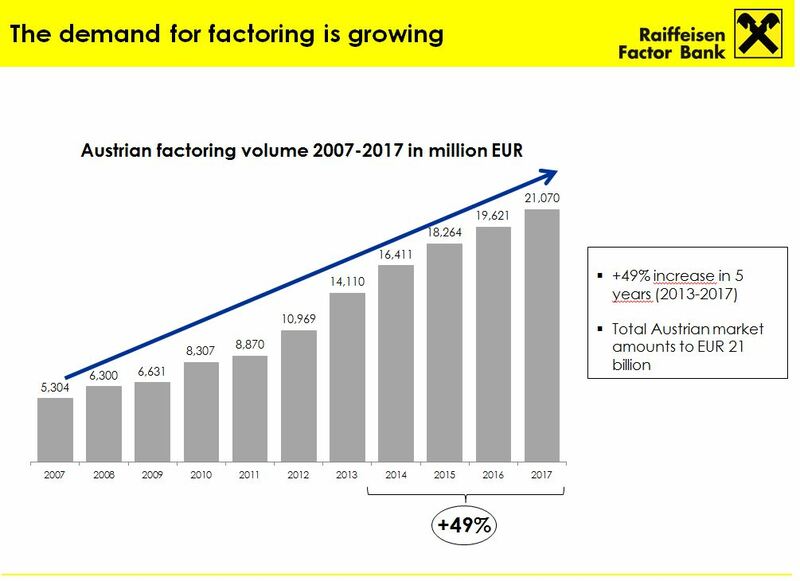 Factoring is growing. 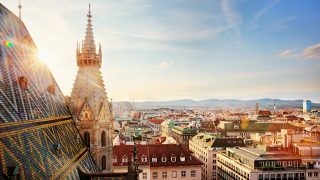 It is one of the fastest growing forms of finance in Austria and is developing into an indispensable companion for exporting companies in their foreign business. The strong increase in demand is also expected for the future. As a result of the economic upswing, customer sales are growing significantly and the positive mood in the economy is perceived as a “new start”. Factoring automatically grows with the customer sales. In fact, the largest growth is stemming from companies with best credit ratings and from large corporates that want to benefit from the improvement of financial ratios through factoring. The entire processing is digital, i.e. the exchange of data between customer and bank is online based and therefore fast, transparent and cost-efficient. What recommendations do you have for exporters? I travel a lot and meet exporting companies frequently. 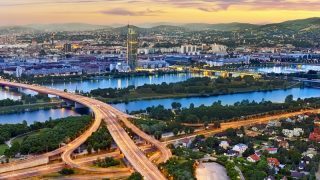 Every week I am impressed by Austrian exporters that operate internationally with unbelievable professionalism and have therefore built up customer relationships worldwide. I believe that factoring can be an important component of financing for these companies, they should at least have a look at it and evaluate the use of this innovative form of financing. In the end, companies that continuously save costs, risks and time through factoring have clear competitive advantages.